Avoid the mess and poison ivy with a Coleman Large Flush Toilet. The toilet holds 4.8 gallons of fresh water for repeated flushing while the separate, self-contained holding tank captures up to 5.3 gallons of waste below the seat. The snap-down lid fastens securely and an ergonomically-designed elongated seat offers extra comfort. 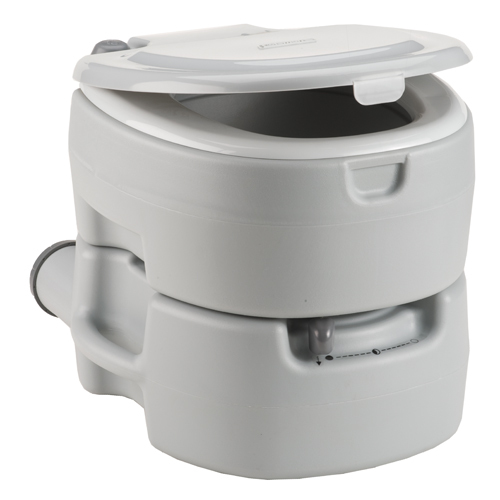 The locking slide valve allows for one-handed flushing, while the molded handles make for easy carrying. The fresh water tank separates from the holding tank for easy waste disposal too.